Clam bay, Thetis island,Capernway Harbour. It was suppose to blow 35 knots NW , so we tucked away into a little corner, protected by Thetis Island. We love walking there, little country roads, beautiful weather, Saturday we headed out for a while, and came by a veggie stand where we met Bud the artist, a gentle old lad, who creates amazing art. He burns , with magnifying glasses, landscapes into huge slabs of wood, he owns 5 glasses, and showed us how its done, the smallest glass, all but an inch across, creates a burn from the sun , 400 degrees!! so imagine what the big glass can do, also makes you aware of the huge danger out there, when a piece of thick glass lies in the sun, just so, to create a fire!!! It takes him a year to finish a big slab, i can see that, but the details are amazing, tiny deer, birds, whole forests, flowers, all just burned in perfectly. The next day we headed out again, once the tide was up, the small waterway between Kuper island and Thetis island goes dry at low tide, this time we walked to Capernway harbour bible school, this is a beautiful property, well kept gardens, two large veggie plots, several cottages, where people can stay, a main house and a kitchen house, it alway looks to be very well run, people are friendly, they dont mind you walking in, we always go to the main office and let them know we are there. The property overlooks the bay and has some good docks. Bert and i found a wonderful,quiet spot in the main garden, a bench, just waiting for us, shaded by grape vines. The smell of roses was everywhere, hummingbirds darting in and out, surprised to see us, but keeping up with their search for the perfect flowers. People come here with their families, just to get away, or for meditation, while we were there, a group of little girls were swimming at the docks, and some young lads were playing basketball in the field. The parents get together at the main house for group discussions and social time. Its a good place to be……. 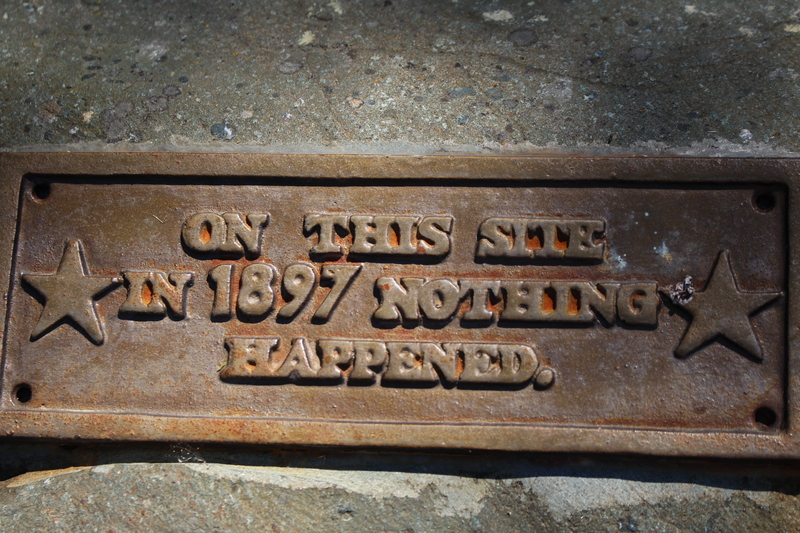 Funny sign on one of the roads of Thetis island. 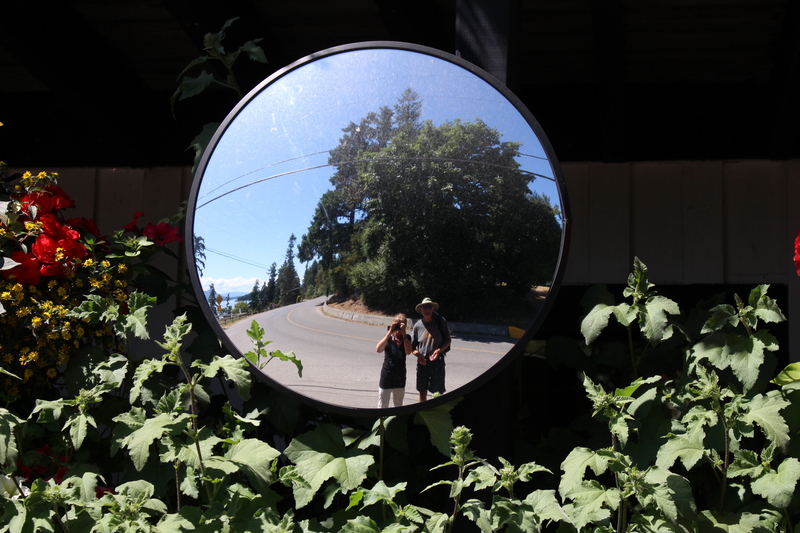 Selfies in the road mirror on the way to Capernway.